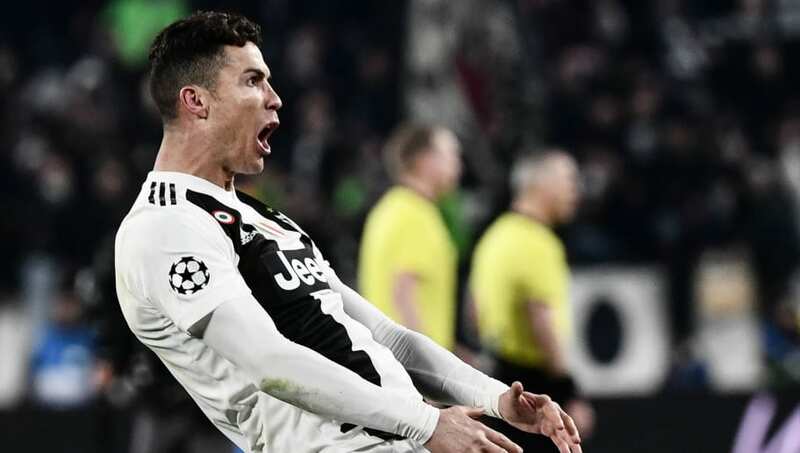 ​Juventus forward Cristiano Ronaldo has been charged by UEFA for improper conduct during his side's 3-0 win over Atletico Madrid in the Champions League last 16. Ronaldo scored a second leg hat-trick to rescue his side from elimination, having lost 2-0 in the corresponding fixture at the Wanda Metropolitano. In the celebrations of the second goal on that occasion, Diego Simeone grabbed his crotch, later explaining it was intended to convey that his side had "cojones". Now, as revealed by UEFA's official ​website, the 34-year-old has been charged with improper conduct. "Charges against Juventus Football Club: - Improper conduct of player ​Cristiano Ronaldo – Art. 11 (2) (b) and Art. 11 (2) (d) of the UEFA Disciplinary Regulations.The UEFA Control, Ethics and Disciplinary Body will deal with this case at its next meeting on 21 March." However, when probed on whether he thought a ban was warranted, ​Juve manager Massimo Allegri, as quoted by ​Goal, declared: “Absolutely not. I think everyone celebrated their own way on the field and in the stands. I saw nothing strange, just a celebration. There won’t be a ban."